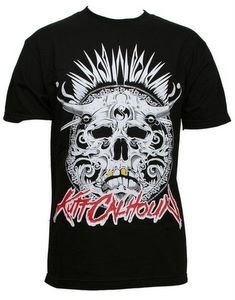 Support your boy, Kutty, with this Kutt Calhoun Black Skull T-Shirt. A gray skull is printed about “Kutt Calhoun” in red letters. 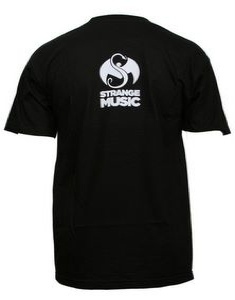 The Strange Music logo is above “STRANGE MUSIC” on the upper back of the shirt. This shirt is available in M, XL and 3XL. Click here to buy yours now.